Categories: Chocolate Tray, Holidays, Kosher, Shabbas, The Chocolate Girl, Chocolate, Chocolate Covered Fruit, Chocolate Gifts, Cookies, Pretzels, By Occasion, Thank You, By Brand, The Chocolate Girl. 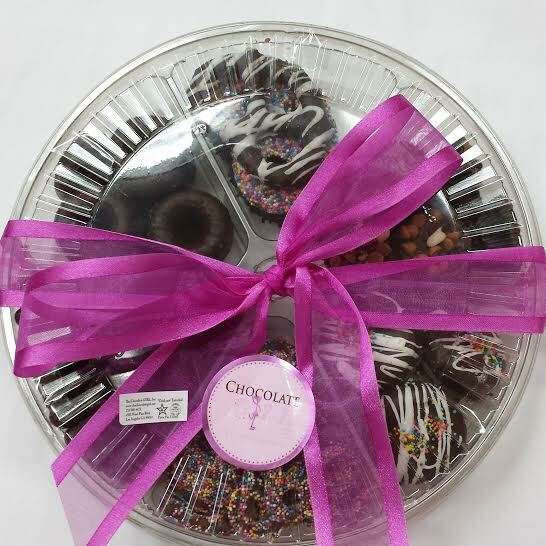 Tags: 6 assorted tray, chocolate cookies, Chocolate Covered Pretzels, chocolate double stuffed cookie, katz, kosher, parve, pretzel explosions, Rabbi Katz, shabbas chocolate tray, shabbas tray, star, star k, viennese crunch. ** Selection may very with things that are of equal yumminess….